With eyes fixed on Greece, Europe’s politicians and media are ignoring a weighter economic and geopolitical threat – ‘Brexit’. The European Union should consider the implications of losing its second-largest economy and a political and military heavyweight. Since Greece held elections early in 2015, the escalating financial crisis in that country has brought a possible Greek exit from the Eurozone to the centre of contingency planning in Brussels. For years, the EU has done everything in its power to ward off the spectre of a `Grexit’ that could potentially discredit the whole European political project. But what about the United Kingdom, which has been toying with the idea of life outside the EU for much longer? Few outside the UK seem to be genuinely worried about the country pulling out of the EU. But with the surprise victory of Prime Minister David Cameron’s Conservatives, it is now plain that there will be an in-or-out referendum before 2017. A vote to leave would involve economic consequences for the UK that are hard to predict. The impact on the rest of Europe would be equally incalculable. What is certain is that the effects would dwarf those resulting from a `Grexit’ and could potentially put at risk the EU’s status as a competitive and credible global player. The UK already accounts for 15 per cent of the EU's economic output, putting it well clear of France as the bloc's second-largest economy. Within 30 years, if favourable demographic trends hold, the UK could actually overtake Germany as Europe’s biggest economy. By contrast, Greece's share of the EU’s GDP is only 1.3 per cent. A comprehensive study by Open Europe tried to assess the net effect on the UK economy of leaving the EU. Assuming `politically realistic’ scenarios in which bilateral trade agreements were reached between the UK and the EU, and depending on the British government’s willingness to use its new sovereignty to push pro-market reforms, the UK economy could suffer a ‘permanent loss’ of as much as 0.8 per cent of GDP or gain as much as 0.6 per cent of GDP by the year 2030. In the worst case, assuming no new trade agreements and ensuing economic isolation, total output in the UK would drop by 2.2 per cent. 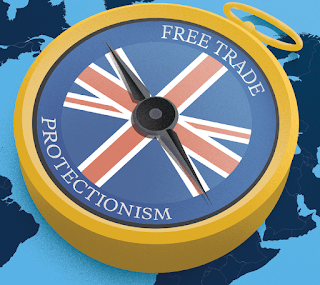 What would this imply for the UK’s European trading partners? The German Bertelsmann Foundation estimates that the EU (excluding the UK) would lose between 0.1 and 0.36 per cent in real GDP per capita from foregone growth in foreign trade. Individual industries would suffer in varying degrees from lost export sales to the UK. The German automotive industry would be hurt the most, with total sales dropping by up to 2 per cent. Taxpayers in EU member states should also be concerned. The UK is the second-largest net contributor to the EU budget after Germany, paying 10.8 billion euros more into the EU pot than it takes out. To compensate for lost revenue in the event of a British exit, Germany would have to pay 2.5 billion euros more into the EU budget each year, France would pay an extra 1.9 billion euros, and Spain nearly 1 billion euros more, according to the Bertelsmann Foundation study. There is no question that the country hardest hit by a `Brexit’ would be Ireland. The report from Open Europe shows that Ireland’s growth would slow by 1.1 per cent to 3.1 per cent of GDP by 2030 should the UK leave the EU. Ireland is also a big importer of British durable goods. Though many in the UK have argued that leaving the EU would allow the country to focus more on exports to the BRICS countries, the truth is that the UK exported more to Ireland last year (US$30 billion) than to China. `Brexit’ would be especially painful for Northern Ireland, where the reintroduction of border controls and tariffs could trigger a disproportionate drop in trade and employment and potentially pave the way for a revival of old political conflicts. Indeed, it is the political, rather than the economic costs of `Brexit’ that could make many EU member states more receptive to David Cameron’s reform agenda than is apparent at first glance. Published today in World Review. A more detailed version can be found at Geopolitical Information Service.